Monsters Brain Breakers by Sugar Wings Games is a puzzle game that will turn your brain apart. Match all the monsters faces by swapping and rotating the tiles. Crack the way to match the monsters. Have fun swapping and rotating the tiles. You will have to sort and match a mix of tiles to return them to their original state. 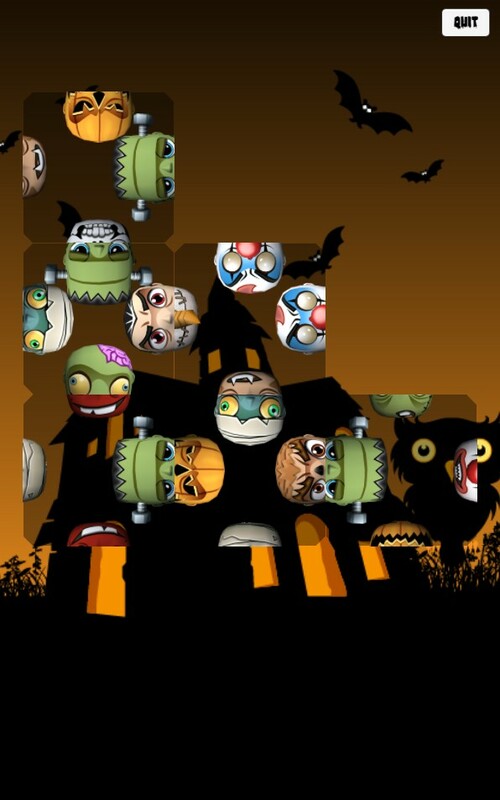 Match all the monsters faces by swapping and rotating the tiles. This game it's really simple but yet challenging, Play it and have fun... and maybe a headache. Invite your friends to play this game. Do your best, play and enjoy. 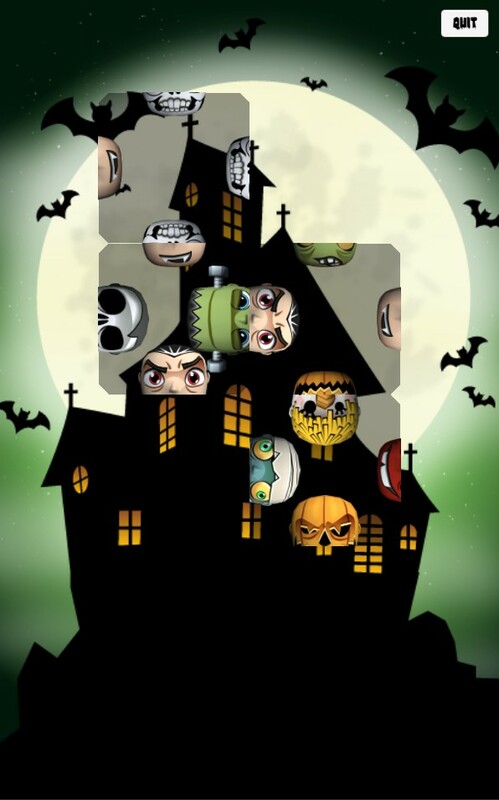 This is the web version of Monsters Brain Breakers which is a lite version of the app. It contains only several stages to introduce the gameplay. Well, the title says it. Monsters Brain Breakers is definitely a brain breaking game that will challenge the most experience puzzlers! You are given a number of squares that have half of monster's faces on each of the four sides. Your task is to spin and connect the correct parts to make the correct monsters. You can spin and swap the square position as many times as you can. The first few levels are easy. Once it goes to level 15, the game picks up its difficulty level. Granted that you are given a glimpse of the correct arrangement before you start each stage, but that glimpse will quickly dissipate and you find yourself breaking your brain! Overall, Monster Brain Breakers is a puzzle game that I truly enjoy. If I have to say one thing negative about this game is the fact that the background is somewhat too prominent and it can be a distraction to the puzzle game itself due to the squares' transparency.